The bottom line here is that everyone should own Goop. Everyone. This review is going to read a little like a love letter, and that’s because I love this product. Being constantly outside in the SoCal sun with my kiddos and Hubby, I am in constant search for sun protection and skin soothing products. Basically, I keep buying and trying—trying to find the right balance of quality ingredients, good company, and a product that actually works. Lets just say my search is over. I have the 1oz jar of Goop. When I was trying to come up with a con for this product, I thought I could list my frustration that it doesn’t come in a larger jar for the home. It comes with me everywhere, and I am often searching my various bags for it when I need it at home. But when I did my research, I found IT DOES come in larger jars, and I plan on getting one as soon as I’m done writing this review! I have used goop on my four-year-old son, my one-year-old daughter, my husband and myself. My son got his first stove burn while helping cook breakfast and Goop helped to make it All Good! (yes I am corny, but it’s part of my charm). 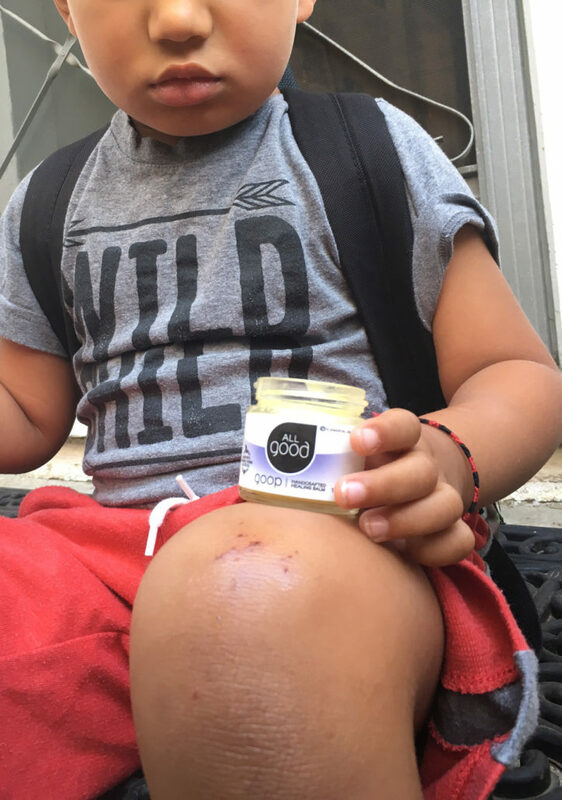 My daughter fell on the front steps and scraped her forehead, and Goop to the rescue! The scrape healed so quickly! 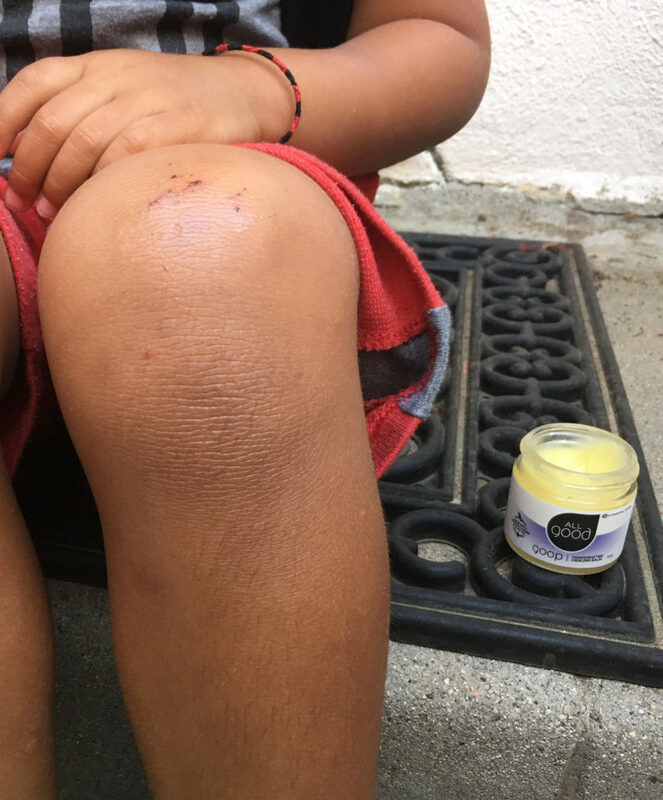 My husband and son are ridiculously allergic to bug bites and when we were out adventuring getting eaten alive by mosquitoes, using Goop helped keep the aftermath of the bites under control. I’ve used it to soothe calluses on both my hands and feet , and basically treat every scraped knee and sunburned cheek that we’ve come across since discovering this product. 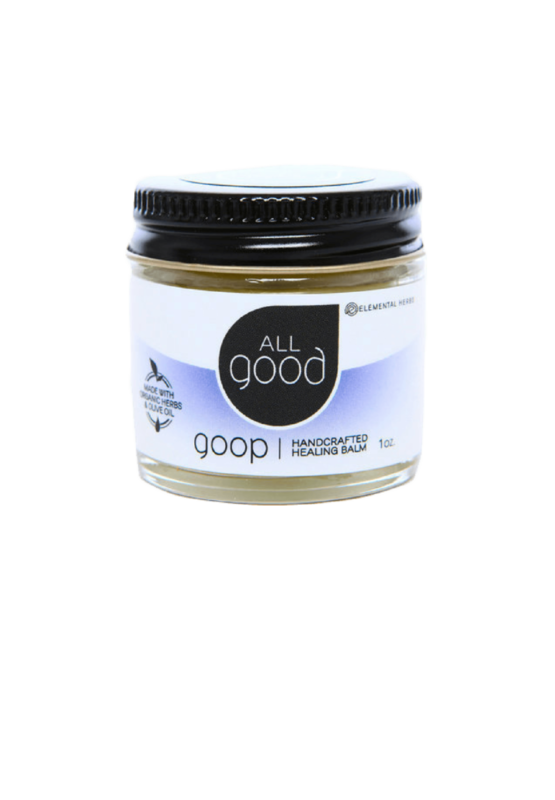 All Good is a great company with more than just this one product, but if you were to buy just one thing…. It should be this.